If you’ve been thinking about buying a home and are just not sure of the steps involved or even where to start, then our 14-part series is a MUST read for you. Each week, you’ll get great tips and easy-to-understand how to’s that will help you be successful in purchasing a home in today’s market. And, it’s all delivered to you in sequential order so you know what to do when … one bite-sized chunk at a time! 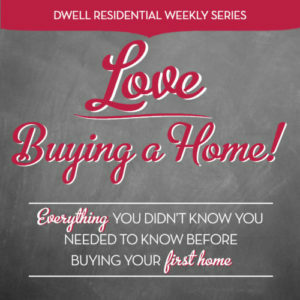 Week 1: An Intro to Our First-Timer’s Guide — Our introduction to our Love Buying a Home series (what you’re reading right now!) gives a breakdown of all the topics week-by-week. Keep on reading below for more information about this great series for first-time buyers. Week 2: How to Find the Very Best Buyer’s Agent — You want to choose a real estate agent who is the right person to represent YOU through the many steps in buying a home. Think about what’s important to you and what you are looking for in a home and then make sure your agent has experience that meets these specific needs and goals. Week 3: How Your Needs and Desires Lead to “Home Sweet Home” — We’ll give you a breakdown of the honest questions no one else is asking you about your home search, and the exact questions you need to ask yourself BEFORE you start house hunting. 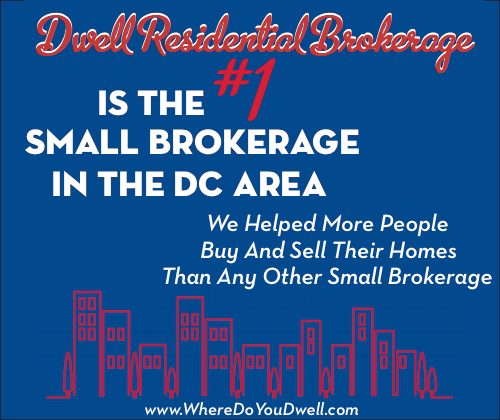 Our list goes way beyond how many bedrooms and baths you want. You’ll learn that this often overlooked step will determine everything that happens during your entire home-buying experience. Week 4: Do the Math — A Mortgage You Can Afford – Figure out how much home you REALLY can afford! We’ll give you a formula for determining how to arrive at the exact price range that works for your budget to get a home you love that doesn’t change your current lifestyle. No buyer wants to be stretched too thin (or be shortchanged!). We’ll teach you how to do the math so you know the monthly payment for every home you see out there. Week 5: Where to Find Money for Your Down Payment – Learn all the secret ways to get more bang for your down-payment buck. If you’re a first-time homebuyer, we want to make sure you aren’t putting every dollar you have into being a homeowner. You’ll figure out what the “right” down payment amount is for your goals and budget, and learn how to find cash if you don’t have enough funds in your personal savings. Week 6: Five Steps to Obtaining a Mortgage — Have you ever tried to make sense of all the mortgage options available out there? It’s definitely not “one-size-fits-all” these days. We’ll give you a rundown of the various mortgage options out there and also the low down on private mortgage insurance (PMI) and why you may need it (and why it’s not all that bad!). Once you’re pre-approved for a loan, you’re ready to seriously start looking at homes. Week 7: It’s the Fun “House Hunting” Guide — House hunting can be fun, but it also can be overwhelming and stressful at times. Find out the ways you can shop productively (and strategically!) with tactics that will streamline your search. You’ll know what to look for and what to stay away from, the pros and cons of condos and townhomes, and the real deal with “as is” homes. Week 8: Make a Winning Offer Without Going Overboard – You’ve found a home you love and want to buy, but what’s next? No worries since we’ve got all the steps covered: figuring out your offer price, determining your earnest money deposit, some clever negotiation tactics, and even how to compete with multiple offers. Week 9: Under Contract: Locking in Your Mortgage and Getting a Home Appraisal — Did you know that you have to wait until after you are under contract until you can lock in your interest rate? (See, you are already learning something!) Here’s how to work with your lender so you avoid any possible fluctuations and more money out of your pocket. Plus, the bank loaning your money requires you to get the home appraised at this time, and here’s the scoop on that. Week 10: How to Navigate a Home Inspection — You don’t want any surprises after you move in, right?! Both old and new homes should be inspected. Here’s the breakdown of what to expect during your home inspection, the most important parts of an examination, and also what to do if any red flags arise. Week 11: Review those Condo Docs! — This step happens AFTER you are under contract. Seems backwards, but that’s how the process works. You’ll only have a few days to read sometimes hundreds of pages of documents so this handy guide will help prepare you. Purchasing a condo unit is like buying into a business, so you need to how financially sound the entire condo community is before you finalized your contract. Week 12: Almost There … Pre-Closing Details for Buyers –You have a few more details to handle before the big day and here’s a breakdown of what’s next on your list, such as obtaining hazard insurance and a home warranty (and why), and when/how to connect utilities for your new home. You want to be prepared and ready to ensure a smooth transition to becoming the owner of this home. Week 13: How to Make Your Settlement a Success — You’ve finally made it! But, there are still lots of items to cross off your to-do list, including your walk-through, getting title insurance, and your closing costs. Our handy list will make sure you’re prepared and ready for this eventful day, so that it ends with your new home’s keys in your hand. Week 14 BONUS: Maintaining Your New Home – Here’s all you need to know as a new homeowner. When you walk through that front door, your life changes and you’re now responsible for everything (not a landlord!) Paying the electric bill, keeping home and repair documents organized, understanding how your home works (furnace, water heater) and making sure you schedule in regular maintenance and upkeep (HVAC and more) throughout the year.